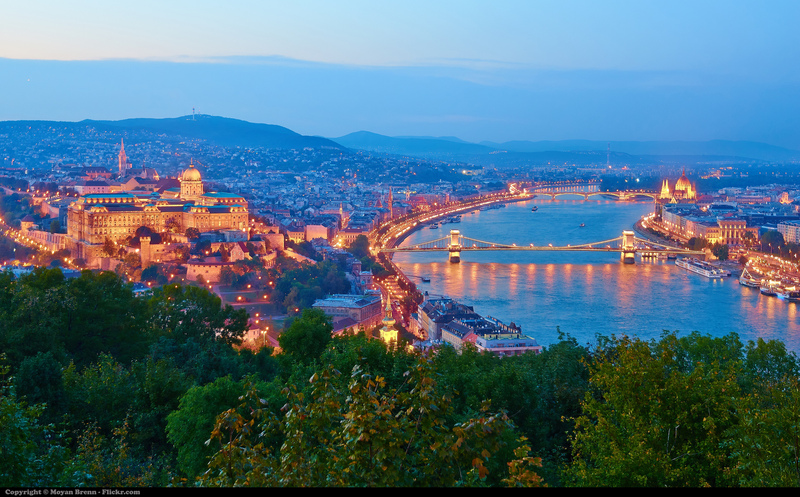 One of the largest cities in Europe, Budapest is the capital city of Hungary and its political, cultural, and artistic hub. The Danube River flows spectacularly through this city that unified the west bank of Buda with the east bank of Pest in 1873. The 6th most visited city in Europe, this beautiful city is home to numerous World Heritage Listed Sites and around 80 geothermal springs. Originally a Celtic settlement around 1 AD, Budapest became the Roman capital city of Pannonia Inferior , Aquincum, in 106 AD. The Romans built roads, baths, and houses, as well as amphitheaters in what was a fortified military camp. The Hungarians did not arrive until the 9th century and officially founded the Kingdom of Hungary a century later. They overcame Mongol attacks in the 13th century to re-establish their town as one of the centers of Renaissance humanist culture in the 15th century. Ruled by the Ottomans for around 140 years after their pillaging resulted in occupation in 1541, the Turks erected many bathing facilities within the city that are still in use today. During this period, many of the city's inhabitants converted from Christianity to Islam under the Turkish influence. In 1686, the Holy League’s army, comprised of Christian soldiers from across Europe, re-conquered Buda and in 1718, the Kingdom of Hungary was taken from Ottoman rule and incorporated into the Habsburg Empire. The 18th and 19th centuries saw increased prosperity for Budapest which became the second capital city of the Austro-Hungarian Empire with Reconciliation in 1867. The struggle for independence and development dominated the late 19th century and unification of Buda and Pest in 1873 created a metropolis that evolved into the country's administrative, political, economic, trade, and cultural hub. When Austria-Hungary lost the war in 1918, Hungary declared independence and lost around two-thirds of its territory and inhabitants when the country was divided up in the Treaty of Trianon . 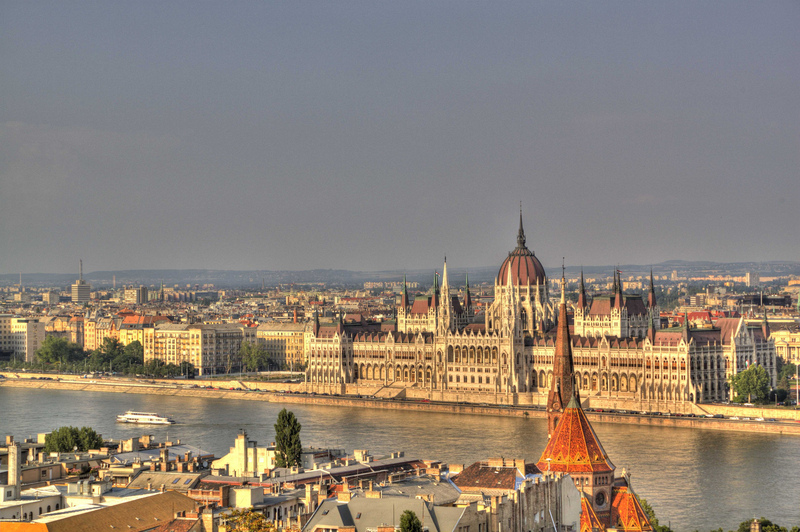 The city has been the stage for many of Hungary’s most pivotal historic events: the Hungarian Revolution of 1848, the Hungarian Republic of Councils in 1919, and Operation Panzerfaust in 1944. In 1944, Budapest was attacked by British and American air raids, and again from late 1944 to early 1945 by Soviet and Romanian troops in the Battle of Budapest. The Germans destroyed all of the city’s bridges and more than 38,000 civilians lost their lives. Many of Budapest’s 250,000 Jewish inhabitants were also killed during the Nazi genocide of World War II. The People’s Republic of Hungary, under a new communist government, was declared in 1949 but peaceful requests for democratic change in the 1950s led to the Hungarian Revolution. This anti-Soviet revolt lasted from 23 October until 11 November 1956, when Soviet troops entered the country and put a stop to the revolt. The Fall of the Iron Curtain in 1989-90 led to political and social changes within the city that is, today, embarking on a new era of democracy. 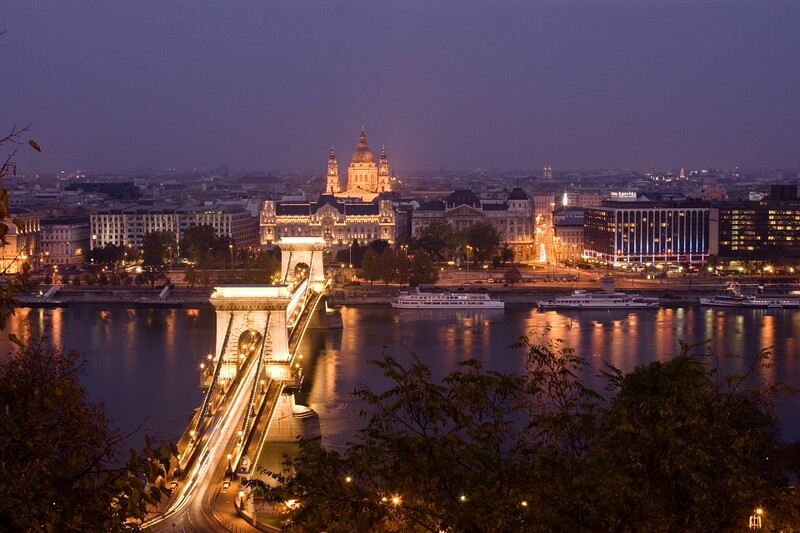 Covering an area of 203 square miles, Budapest occupies both banks of the River Danube. Its location at the center of the Carpathian Basin lies on an ancient route that linked the hills of Transdanubia with the Great Plain. Today, it occupies a central position in Europe with all major European roads and railway lines leading into the city. In the center of Hungary, Budapest is surrounded by the settlements of Pest county and stretches 16 miles north-south and 18 miles east-west. 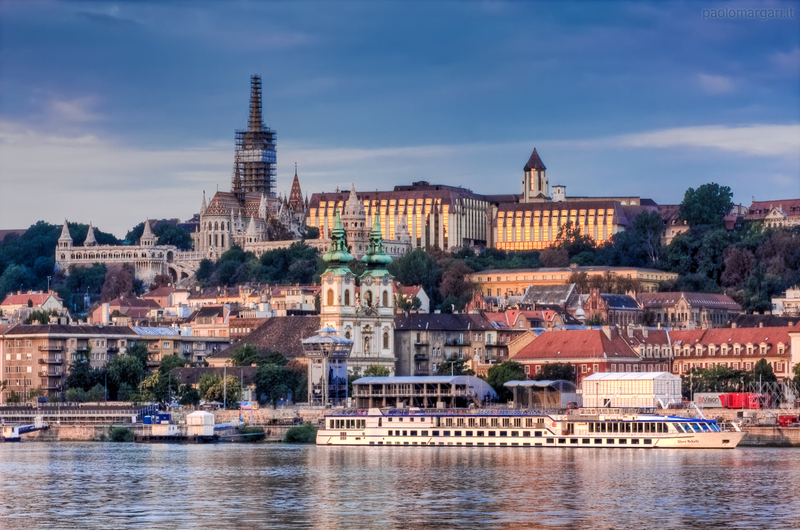 The River Danube cuts through the city from the north, encircling three islands - Óbuda Island, Margaret Island, and the tip of Csepel Island – all of which are within the city limits. It has played a significant role throughout history as an important trade route. Buda, to the west, is built up on high river terraces and hills while Pest, to the east, sprawls across the plains. The limestone and dolomite that comprise the environmentally protected Buda Hills have eroded into fantastic cave formations since their formation during the Triassic Period. Budapest enjoys a long summer, stretching from May until September, when temperatures are warm with maximums averaging around 79 °F. Winters, however, can be bitterly cold with little sunshine. Nighttime temperatures often drop to 5 °F and snowfall is prevalent most years. Late March and April is often the most pleasant time to visit when the days are warm and nights are fresh. September to late October often sees long, sunny days and little rain, although things change abruptly at the end of October. 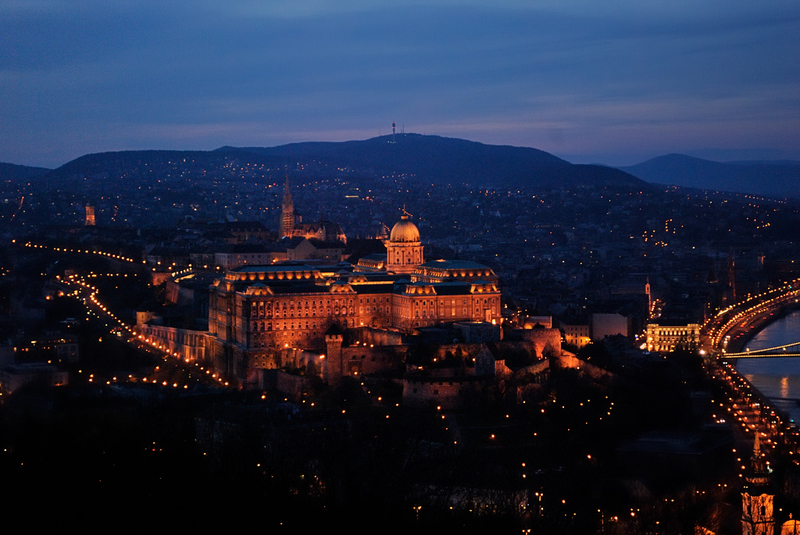 Castle Hill on the Buda side of the River Danube is home to a large number of sights including the Royal Palace. Destroyed and rebuilt six times throughout its history, it now houses museums and the National Gallery with an excellent collection of images. Entrance is free. Dominating Budapest’s cityscape is Matthias Church, a neo-Gothic building with stunning frescoes and glass walls, while the Fisherman’s Bastion offers outstanding views across the Danube to Pest. Another great view can be seen from the Savoyai Terrace where a bronze statue of Austrian Prince, Eugene of Savoy, the man responsible for freeing Hungary from Ottoman occupation, stands boldly. Guarded by four stone lions created by sculptor, János Fadrusz, in 1902, the Lions’ Courtyard borders the Hungarian National Museum, the Budapest Museum of History, and the National Széchenyi Library, all of which offer insights into the history and development of this city and country. Budapest is home to some fantastic museums, and those situated on the Buda side include the open-air Aquincum museum and ruins that detail the Roman history of the city, The Gellért Hill Cave with its rock church, the Kassák Museum of modern Hungarian art, and the Budapest Picture Gallery (otherwise known as the Kiscelli Museum). Crossing the Danube on one of its beautiful bridges is a must with the Chain Bridge& being particularly memorable at night when it is all lit up. You can also take boat rides along the Danube either during the day or on nightly dinner cruises. 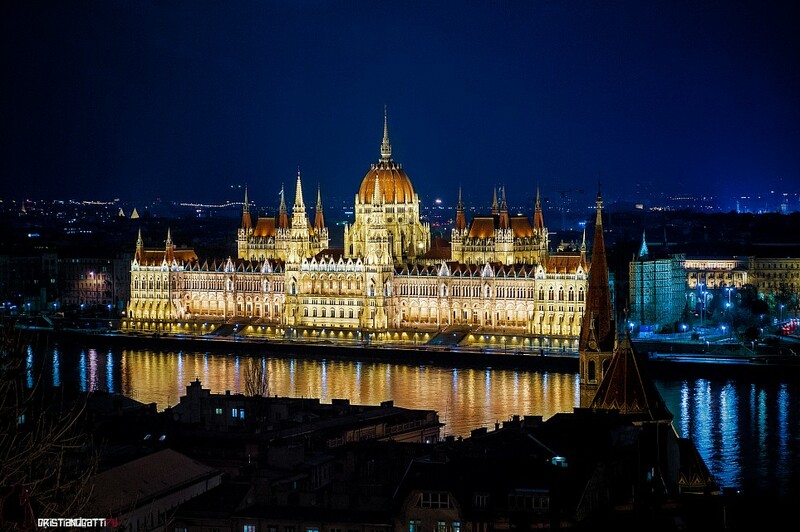 On the Pest side of the river lies the Budapest Parliament Building, which is an impressive 268-meter neo-Gothic structure worth visiting. Guided tours costs 4,000 HUF and can be bought each morning from 8 AM. St. Stephen’s Basilica is Budapest’s most important church and a fine example of neoclassical architecture. You can climb over the dome to get fantastic views across the city. The Great Synagogue and Jewish Museum bring to life the Jewish history of Budapest. Home to one of the largest European Jewish communities before WWII, the Dohány Street Synagogue was opened in 1859. It is the largest synagogue in Europe and was recently restored. The museum next-door details the Jewish history of the city and the old Jewish Quarter, bordered by Károly Boulevard, Erzsébet Boulevard, Király Street, and Rákóczi Road, is an interesting area to explore. The Andrássy út boulevard which stretches from Downtown to the City Park is a 1.6 miles long tree-lined avenue in Pest, listed on UNESCO’s World Heritage List. Sites of importance include the Hungarian State Opera House, the House of Terror (documenting the Nazi and Communist eras), the Ernst Museum of contemporary Hungarian art, and the Central Market Hall – a vibrant covered market open every day (except Sunday). No trip to Budapest is complete without a session at one of their numerous thermal baths. The Art Nouveau Gellért Baths are among the city’s most famous, and entrance, including cabin rental, is 3,500 HUF. 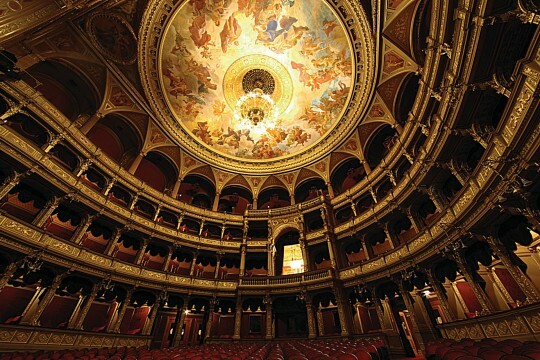 From hostels starting at around €7 per night to luxury 5 star hotels, Budapest has accommodation to suit all budgets. The most expensive options are generally around the castle, and hostels are dotted throughout the city. Renting an apartment can be a cheap alternative, particularly for longer stays, and there are often touts that meet incoming trains at Keleti Station if you haven’t already booked ahead. 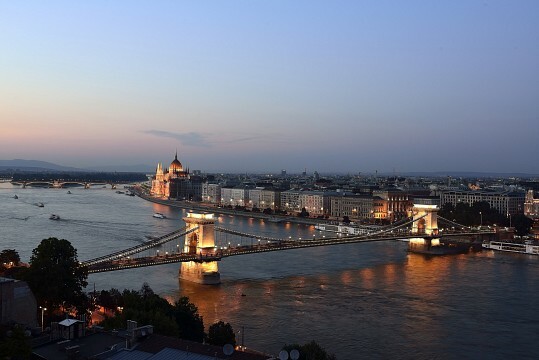 Budapest’s population has been decreasing, down from 2.1 million in 1989 to around 1.75 million. The extended Budapest Metropolitan Area is home to around 3.3 million people. It is a financial hub for Central Europe and ranked as the most inhabitable Central and Eastern European city on EIU’s quality of life index. Home to the European Institute of Innovation and Technology headquarters, it is known for being a technology and start-up hub. In addition, Budapest is a major center for banking and finance, real estate, advertising, accountancy, insurance, arts, and tourism – all of which contribute significantly to the economy. While Hungarian food has strong traditional routes in Budapest you will find it fused with a number of other cuisines that has resulted in a vibrant restaurant scene. Meat based stews and cabbage feature heavily, as does the use of paprika, both the hot and mild varieties. If you want to sample authentic, locally inspired cuisine at a good price steer clear of the tourist restaurants in Vaci utca and head to Raday utca or other more central areas where the locals dine. Although the menus may not be in English chances are the food will be much better and you won't get unknown expenses added to your bill. Great Market Hall - Budapest. Photo by Bruno! You can find Hungarian linen, lace, pottery and other souvenir items throughout the Vaci utca area, however prices are often inflated. 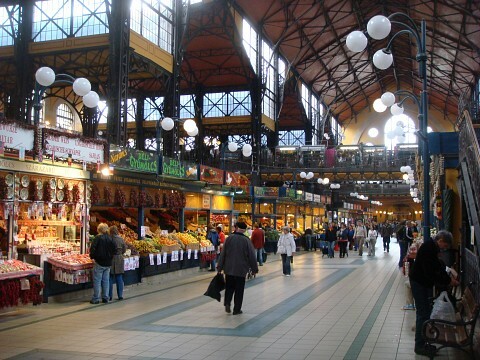 The Great Market Hall at the southern end of Vaci is a fantastic place to shop within a lively atmosphere. Prices are not fixed so be prepared to bargain hard! Vaci utca is home to all the big name fashion chain stores but if you venture out of this area Budapest also has some great local designers with uniquely Hungarian wares for sale. Budapest Franz Liszt International Airport, located 10 miles southeast of the city center, is the country’s air hub with connections to other major European destinations and the United Arab Emirates. Airport shuttle buses or trains transport visitors from the airport to the city center in around half an hour. Budapest Keleti Station is the main railway hub with connections to all Eastern and Central European countries. Prague can be reached in around 7 hours, Berlin in 12 hours, and Moscow in 39 hours. Volán Association operates Hungary’s domestic bus route, linking most cities, while Eurolines handles international destinations. Long distance buses leave from one of four bus stations located outside of the city center but all are well connected with inner city transport options. Metro-lines, buses, trolleys, and trams all operate within the public transport framework, making transport around the city relatively easy as there is always an option nearby. Run by Budapest Transport Limited Company, single tickets cost from 350-450 HUF, transfer tickets are 530 HUF, and 24-hour travel cards are 1,650 HUF. If visiting for a long period, there are more economical options such as weekly passes for 4,950 HUF and monthly passes for 10,500 HUF. 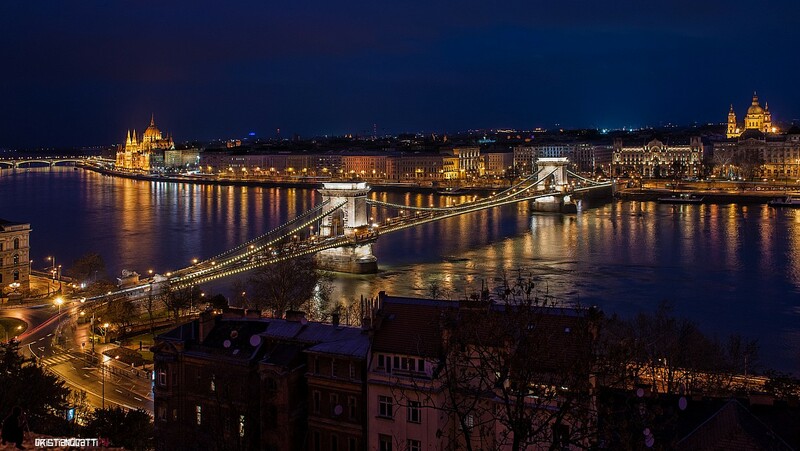 Because of its beautiful architecture and location on the Danube, Budapest is a pleasant city to explore on foot but as the city’s sights are spread over a large area, public transport often proves useful.